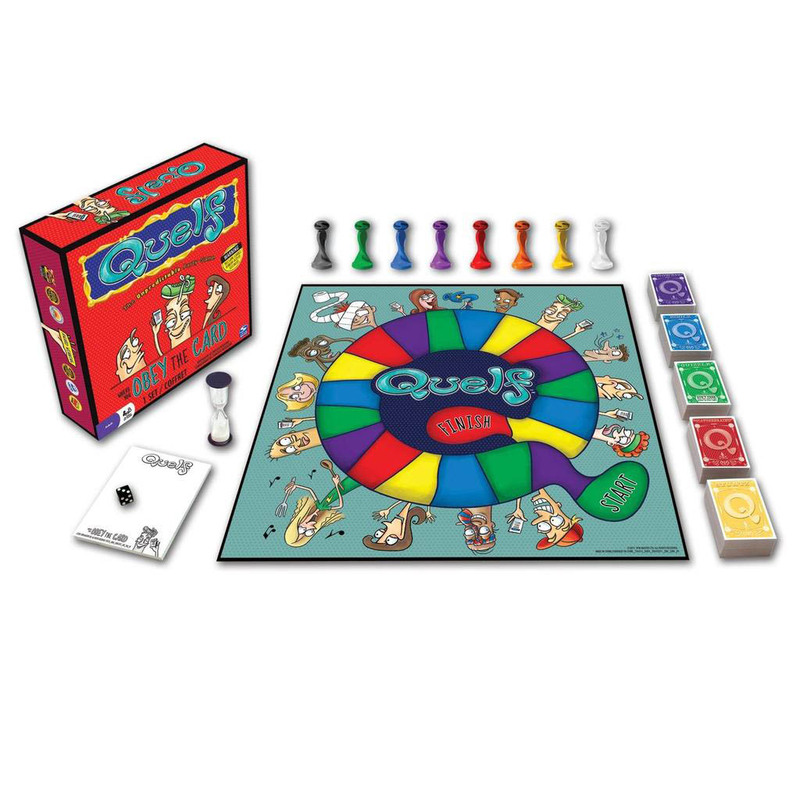 Quelf is the game that gives random a new name! Use your creativity and imagination to answer crazy questions and perform ridiculous stunts. There’s only one rule – OBEY THE CARD! 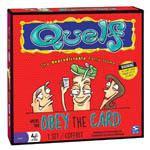 If a player obeys their card they get to move ahead. Be the first person to cross the finish line and you win! 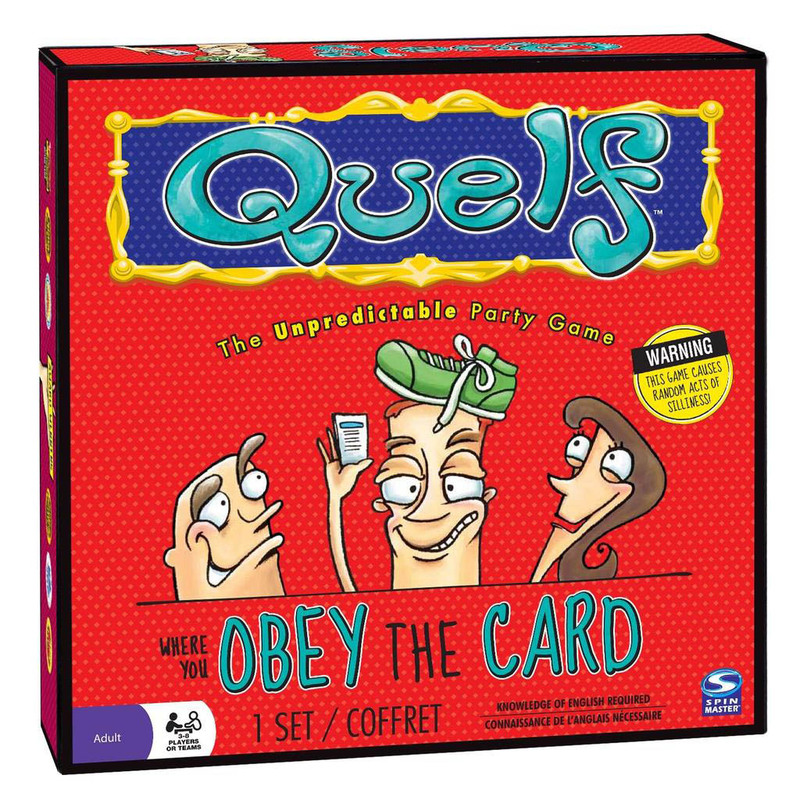 Enjoy a non-stop hilarious adventure with Quelf! 400 Cards in 5 question categories – you never know what you’ll have to do next! It’s easy to play. Just draw a card and do what it says! 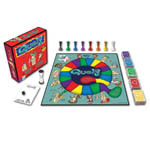 From outrageous stunts to unheard-of trivia, Quelf is a crazy game of randomness!